To understand a new world, you need to face the obstacle of language. The language of oil is no exception, learn a new word once and you will know it forever! General assessment of oil’s organoleptic characteristics through the senses, in particular sight, smell, and taste. Extra-virgin olive oil infused with herbs and spices to enhance a specific flavor note. In our products, we infuse our extra-virgin olive oil with typically Mediterranean flavors..
A blend of oils from multiple olive varieties, obtained by skilfully mixing high-quality extra-virgin oils to achieve a final product that is balanced in flavor and aroma. An olive variety with unique organoleptic characteristics that give the resulting oil special flavor qualities. The protected designation of origin (P.D.O. in English) is a legal protection trademark attributed to those products whose characteristics and quality depend exclusively on the territory of production. A D.O.P. product must be produced and processed within a specific geographical area, guaranteeing the interaction of unique climatic and human factors. This is the process by which olive oil is extracted from olives. For extra-virgin olive oils this is carried out exclusively by mechanical processes, in conditions that do not affect the oil. Any oil obtained from olives exclusively through mechanical or physical processes, in conditions that do not affect the oil, and which have not undergone any treatment other than washing, decantation, centrifugation and filtration. Extra-virgin olive oil has a maximum free acidity of 0.8% and meets the other criteria established by the EC for this category, in accordance to Article 75, par. 2 of EU Regulation 1308/2013. Machine where olives are crushed to extract oil. This process can be continuous or discontinuous (traditional). Continuous (centrifuging) machines have only one production cycle, thanks to a decanter that separates the pomace from the vegetation water and from the olive paste. Discontinuous (hydraulic) presses use granite millstones for crushing; the resulting paste is collected on fiber discs and it is then pressed mechanically. This type of oil press is becoming rare, since higher-quality technologies, which are more hygienic and with a higher yield, are now preferred. The step after pressing, which consists in mixing the paste obtained to break the oil-water emulsion. The term Protected Geographical Indication (PGI in English) is a geographical origin trademark that the European Union assigns to agricultural products and foodstuffs whose reputation, particular quality or other characteristic depends on their geographical origin, and that are produced or processed in a specific geographical area. Olive oil with free acidity above 2% per 100 g, not suitable for human consumption until after it has undergone an industrial refining or rectifying process. Machine used to crush olives, which can include up to four stone wheels. Oil derived from a single olive variety. 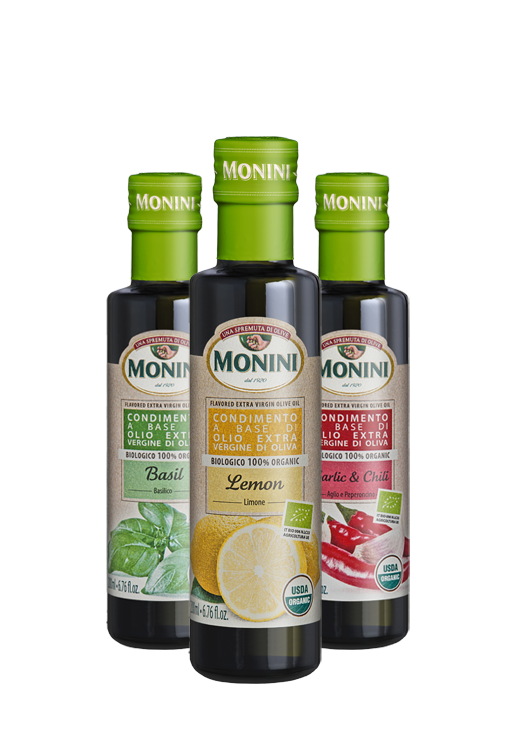 A blend of refined and virgin or extra-virgin olive oils, with a maximum free acidity of 1%. Due to its characteristics it is recommended for frying, as a good nutritional alternative to vegetable oils. Blend of oil extracted from pomace through a solvent, which is then refined and mixed with a small percentage of virgin oils. Technique used in oil tasting, which consists in tasting the oil by inhaling air through the mouth. Keeping their teeth closed, the taster tries to recreate a sort of nebulizer inside the mouth that highlights the smell and taste of oil. Oil with maximum free acidity of 0.3%, obtained from oils with high acidity or with severe organoleptic defects (lampante oils), which undergoes an industrial refining process to reduce its acidity and eliminate oxidized substances and organoleptic defects. Although it maintains the same fatty acid composition as virgin olive oils, refined oil (also called rectified oil) is practically odorless and lacks beneficial substances such as polyphenols. It cannot be sold except in bulk. – Rectified (oil): Synonym of refined oil. Evergreen fruit tree native to the Mediterranean basin. Olea Europaea can live to a hundred years and has a round trunk, cone-shaped crown and hard, heavy wood. Typical, intense taste of oils from green olives. Tactile sensation of density, typical of a high-quality oil. Depending on the area of origin, the process of extraction or ripeness of the fruit, one or the other nuance may be dominant, without affecting the quality of the oil. In fruity oils, a note reminiscent of the scent of freshly cut grass. Pleasant sensation reminiscent of flowers’ permeating scent. The typical taste of a healthy, fresh olive. A sensation reminiscent of the scent of the underwood, it is more frequently found in Umbrian oils. Typical bittersweet aftertaste reminiscent of this nut. Aroma reminiscent of this vegetable, found more often in Sicilian oils. Spicy aftertaste, especially intense in oils rich in antioxidants. Typical smell, often found in poor-quality oils from Andalusia (Spain), often associated to the smell of cat urine. The smell of oils from poorly stored olives, in which sugars have fermented forming alcohol or vinegar. Similar to the smell of moldy bread, it is often found in oils from olives stored in warm, humid environments. Typical smell of deteriorated fat, such as yellowed (rotten) ham. They can be found in poorly stored oils, especially those exposed to direct light. Smell found in oils from fermented olives, slightly reminiscent of cheese. This smell can be perceived in oils from olives picked from the ground; it is reminiscent of the smell of air after the rain. Tactile aftertaste sensation, typical of oils that feel sticky to the palate.